Dr. Kinley promotes psychological and behavioural health and resilience using the Science of Neuroplasticity. Her interests include the prevention of mental illness and the promotion of mental health and fitness. 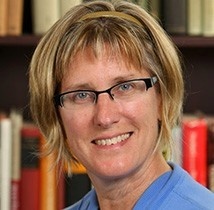 Her work is interdisciplinary, collaborative, and contributes to both the academic literature and affecting change in health practice and policy nationally. 2014 Tasca, G.A., Sylvestre, J., Balfour, L., Chyurlia, L., Evans, J., Fortin-Langelier, B., Francis, K., Gandhi, J., Huehn, L., Hunsley, J., Joyce, A.S., Kinley, J., Koszycki, D., Leszcz, M., Lybanon-Daigle, V., Mercer, D., Ogrodniczuk, J.S., Presniak, M., Ravitz, P., Ritchie, K., Talbot, T., Wilson, B. (in press). What clinicians want: Findings from a psychotherapy practice research network survey. Psychotherapy. 2013 Kinley, J.L., Reyno, S. Changes in Alexithymia following 6 weeks Intensive Group Psychotherapy. Journal of Brief Psychotherapy. November 2013. 2013 Kinley, J.L., Maxan, E. MHDTP: Fostering Resilience in Patients with Axis I & Axis II Disorders, International Journal of Mental Health.